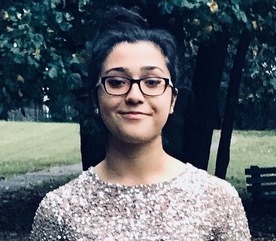 Arian Farhat is a teen girl born and raised in the Washington D.C. metropolitan area and is a first-generation American, with her parents immigrating from Afghanistan. Having attended the Great Books Summer Program at Amherst, Massachusetts in the summers of 2016 and 2017 and in Oxford University in the summer of 2018, Arian has studied literature alongside public intellectuals and authors. Since childhood, she has been captivated by the literary world and set out to be a writer.